It is that time of the year again when the temperature increases, long awaited rains are due, the hunting slows down and the bigger bulls and rams can breathe a sigh of relief. The year has passed us in a flash but when looking back on 2016 we see that it is full of adventures, dreams fulfilled and memories made. 100% success rate on Kudu. Each and every one of our groups that came to Kingsview Safaris with a Kudu on their list, left with a Kudu. 34 different game species were harvested, highlighting the incredible diversity of the Eastern Cape. Our season kicked off early in the year when we had Kris from Sweden join us for a days hunting. Kris was out in South Africa for a business conference and wanted to squeeze in a bit of hunting before heading back home. 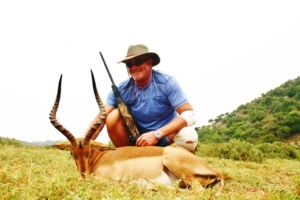 It was an extremely hot day and the animals were scarce but Kris worked hard and shot a fine Impala ram. In April we welcomed Michael and Patti from Utah for their first trip ever to South Africa. What a pleasure it was to share a safari with this lovely couple. 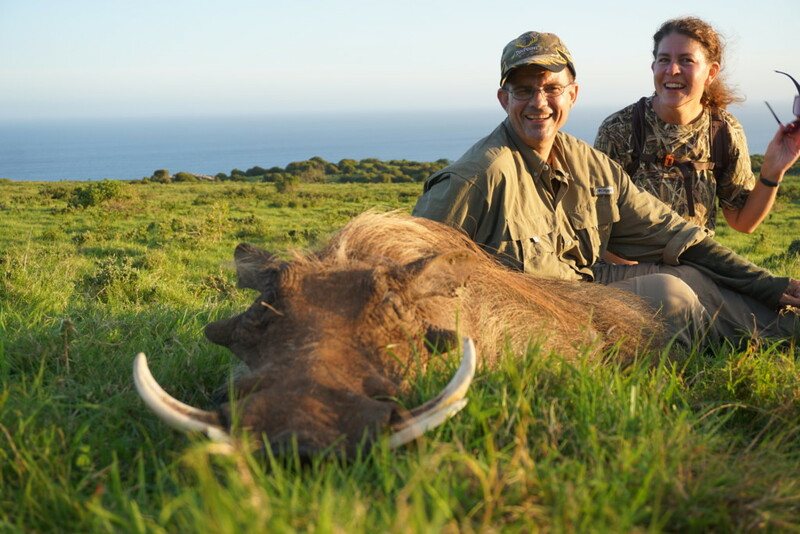 Michael harvested some amazing animals and in my opinion pulled off the most impressive shot of the year when he hunted his Kudu bull. That story is one for round the fire! We really worked our tails off for each one of his species and have the cuts and bruises to prove it. 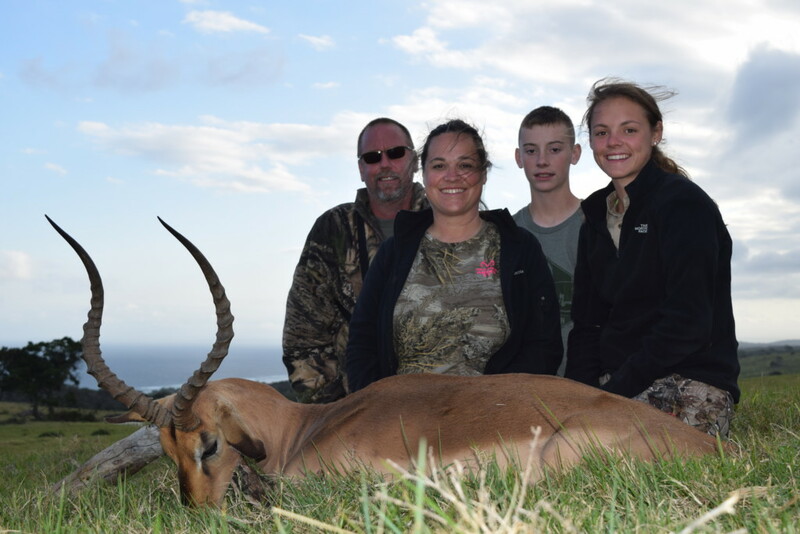 Apart from the hunting Michael and Patti enjoyed a few days in the Tsitsikamma area of the Eastern Cape. Our US rep John and his beautiful wife Rosalie flew out to join us and instantly a friendship was formed. Although this trip was initially meant for Rosalie, John managed to work his charms and scored a day and a half of hunting. Incredibly he came away with a gorgeous Nyala bull and solid Red Lechwe, very impressive. 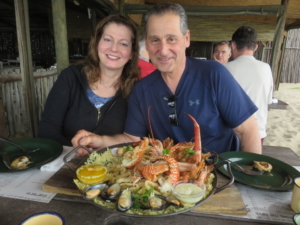 We all enjoyed a beautiful river cruise on the Kromm River near St Francis Bay and some amazing seafood at our secret little restaurant along the beach front. It was now time for the boys, and oh man did we have fun. I can truly say that I have never spoken such nonsense before with such a great bunch of guys. This trip created memories for me that will never be forgotten. I am talking about the arrival of Charles, Rocco and Andy. The relationship that Charles has with his sons Rocco and Andy is certainly one to be jealous of and a credit to them as a family. For me the highlights of this trip have to be the walk and stalk hunting of a Giraffe with a bow by Andy to within 35 yards. Rocco setting an all time world record of being setup on the shooting sticks looking through the scope at only the tips of a Kudu bulls horns for an hour and 45 minutes. His determination paid off and he dropped the Kudu the instant it stepped into the clearing. Another is the toilet warthog incident (again this is a story for round the fire) but credit must be given to the father Charles who matched his sons step for step during the entire hunt and not once let his age deter him, he did however show great experience and knowledge by opting out of the Mountain Reedbuck hunt! Very well played. In my eyes hunting is for everyone and life is to be lived, well when we got an email from Isabelle back in July saying that she wanted to hunt Kudu and Impala but had never gone hunting before, I happily accepted her request. Isabelle is a woman with an incredible zest for life and self-confidence that is hard to match. 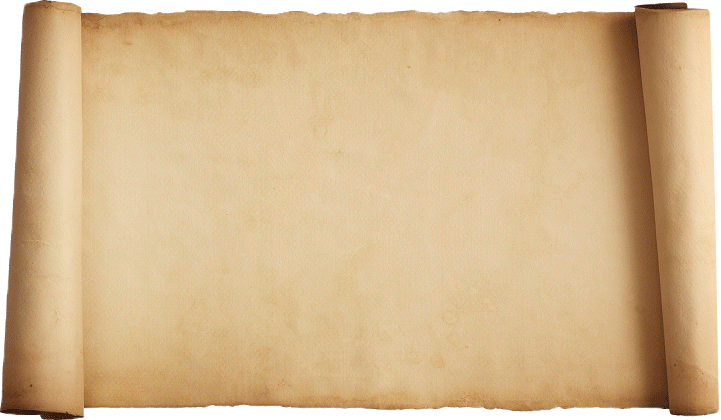 The day Isabelle arrived we hit the shooting range as we needed to judge her abilities and see what we had let ourselves in for….well when her 3 shots at 100 yards off the sticks were grouping tighter than a student’s budget, I was excited to go hunting. Isabelle showed incredible respect for her quarry and an understanding of the principles in hunting. Not only did she leave with a Kudu and Impala but she went deep sea fishing and caught some Tuna! Soon after leaving us Isabelle went and climbed the highest active Volcano in Africa…amazing. Kingsview Safaris was created because we saw the benefits hunting can do to a family. 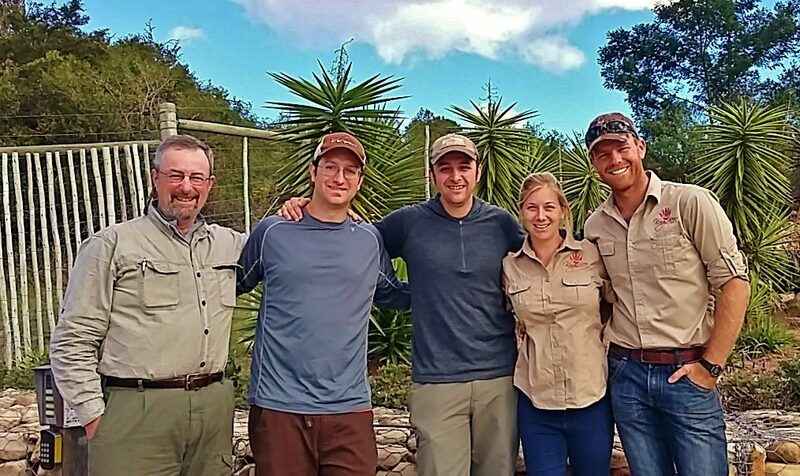 When the Seymore family visited us from Texas for a 12 day safari, we once again got to see first hand how hunting binds families together. 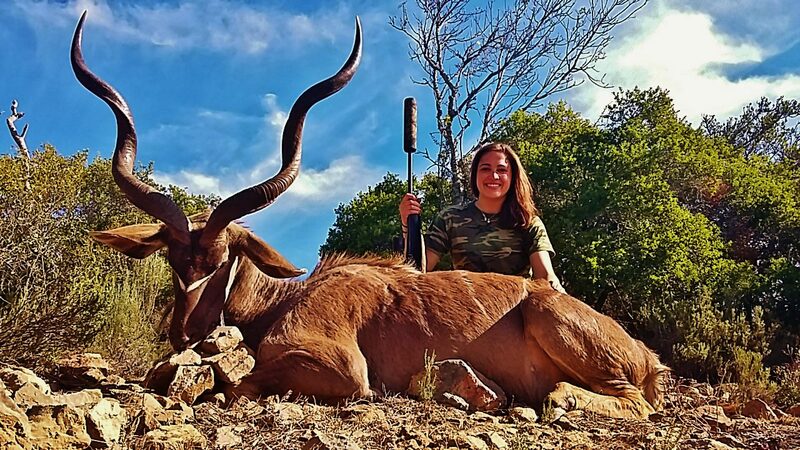 Ted, Shayla, Hunter and Kyler all hunted some magnificent trophies, with Ted completing his Spiral Slam and harvesting a beautiful Sable bull in the process. If parents are to be judged by the outcome of their children then Ted and Shayla have excelled with flying colours. Hunter and Kyler’s attitude, respect, maturity and love for hunting is a testament to how incredibly well they have been raised. What a privilege it was for us to spend time with such a wonderful family, even if Kyler did drink just about every Crème Soda in the country! If ever there is an example of practise makes perfect then Darrack is that example. For years Darrack dreamt of coming to Africa and when he finally booked to hunt with us, he spent the next couple of months shooting his rifle and practicing for his hunting trip. Darrack and Veronica joined us from El Paso, Texas and have certainly left as lifelong friends. During this trip Darrack shot incredibly well and not once did we ever lose an animal or have to track it, it was a true testament to ethical hunting. 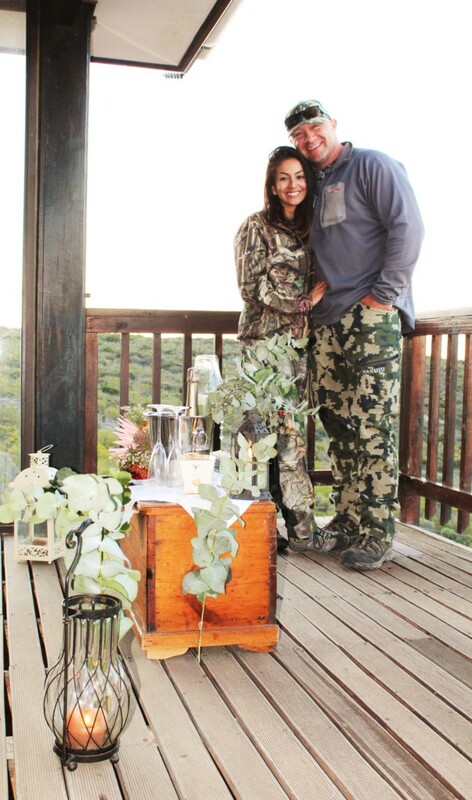 But this trip was more than just a hunting safari, it was also Darrack and Veronica’s 1st wedding anniversary. Justine setup a small intimate surprise for the married couple and they enjoyed some fine South African champagne as the sun set in Africa. We hope the future holds more success for those wanting to come hunt with us, we would love to see all those that have visited us and to make more friends, but the future can only truly be a success because of the hard work that was done in the past. 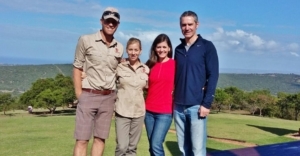 With that myself and Justine owe our many thanks and gratitude to those special people behind the scenes that make each safari spectacular for our guests. Didier and Florbela, the owners of Zebra Lodge that go above and beyond to ensure our guests receive the most incredible hospitality. Pierre and Karen who have ensured Nyala Ridge is a hunter’s paradise with their well managed game. Bertus a huge huge thank you! Paradise on earth is all I can say. Shane from Koedoespoort, thanks pal for your help and assistance in sourcing certain game species. 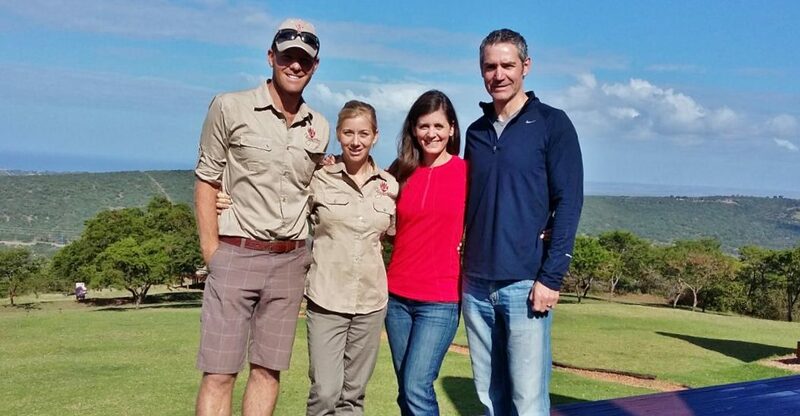 Ian and Nicky for showing our guests true Eastern Cape hospitality and warmth. Taxidermy Africa for their professionalism and dedication to our guest’s trophies and wellbeing. There is nothing the staff of Taxidermy Africa will not do for their clients. Paul from Relive Taxidermy again for ensuring that anyone of our clients making use of his excellent services is always treated with the upmost respect and attention. Jean and Wayne our two PHs that helped us this year. 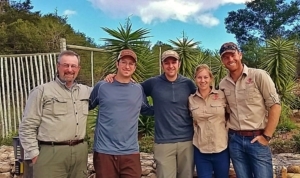 These guys stopped at nothing to help our guests achieve their dreams in Africa. Here’s too many more hunts guys! Elvis our tracker and skinner. Your smile was a highlight to many that met you, but for us it is your long hours behind the scenes painstakingly ensuring each trophy is handled correctly and done right. Great job brother! And finally our family and friends that support our business and desire to make it succeed, it is because of you! Congratulations on a fantastic season and on all that you stand for! All best for baby Peyton and may you have many happy years with her!